This historical drama follows the intriguing goings-on at an English country house in the early 20th century. The exploits of the wealthy family that lives there are augmented by the travails of their servants. The series also throws real historical events into the mix by forcing the characters to deal with their impact. The series aired from 2010 to 2015 on ITV in the UK and on PBS in America. In the series finale, the curtain comes down for all the occupants at Downton Abbey. Two romances get tangled. Molesley and Spratt try out new jobs. Thomas makes a bold move. Mrs. Patmore instigates a scandal. Isobel takes a stand. A car race gives brings back bad memories for Mary. Mrs. Patmore opens for business. Mrs. Hughes manipulates Carson. Things get serious for Edith. Robert gets an unexpected gift. The hospital war reaches a boiling point; Violet becomes extremely bitter; Daisy attempts to spoil a romance; love is in the air for Mary and Edith; Thomas feels stuck. Thomas makes a plentiful proposition to Andy; Spratt helps out Denker; a powerful politician joins the family for dinner; Robert causes distress; Mary becomes suspicious. Miss Baxter's predicament; Anna and Mary go to London; Daisy strains her case; a maid from the past visits for lunch; car conversations. Mrs. Patmore orders a wedding dress to surprise Mrs. Hughes for her wedding; Edith receives assistance from a handsome volunteer; the hospital drama intensifies. Obstacles arise in the wedding plans; Edith and Marigold run into pig trouble; Thomas thinks about moving on; Anna has an appointment with the doctor; and Violet and Isobel won't agree about health care. In the premiere of the final season of Downton Abbey, the family is threatened by extortion and could possibly have to downsize; Mrs. Hughes poses a sensitive question; Daisy gets bold; Anna and Bates wait. It's grouse-shooting season, and Rose's father-in-law, Lord Sinderby, has rented out Brancaster Castle in Northumberland and invited the Crawley family to a shooting party. Stowell, the Sinderbys' butler, has an ax to grind and a scandalous secret threatens to undermine the holiday. Surprises are in store as the families become better acquainted with each other and some new faces arrive on the scene. Meanwhile, the servants hold the fort back at Downton. Mrs. Pattmore gets a surprise. Anna is in a quandary. Someone tries to sabotage Rose and Atticus's relationship. Mary is finally free of one suitor, Edith's motives are revealed. Violet's heart is awakened by an ancient spark. Bates finally reveals the truth to Anna. Answers to a painful mystery are finally found. Rose encounters a handsome gentleman. Thomas seems to have the weight of the world on his shoulders. Edith's link to Marigold draws attention. Lord Merton stuns Isobel, while Mary delivers shocking information to Tony. Mary, Lord Gillingham, and Bates face challenges, Cora makes a new friend, while Violet reconnects with an old one. Rose schemes to get a radio in the house. Sarah tutors Daisy. An art historian arrives. Anna struggles with a certain purchase. In the fifth season premiere, the election of a working-class prime minister brings a whole new way of thinking. Robert is given the cold shoulder by the village. Baxter tells all, and Edith takes a risk. But will the series' original cast be involved? A feature film based on the popular series will likely begin production next year. 'Downton Abbey' Will Officially End After Next Season...But Might Get a Movie! The big ITV/PBS show will be ending soon. Is the Dowager Countess really leaving the PBS show like the rumors are saying? When are your favorite shows premiering this month? Find out here! Can you spot the historical inaccuracy in the new "Downton Abbey" pics? Want to Dress Like You're on 'Downton Abbey?' Wish Granted. Now you can put on those pearls, dress up pretty and pretend you're Lady Mary or Lady Sybil... but probably not Lady Edith. Poor Edith. Gary Carr will be the first recurring "ethnic" role on the show... and he joins many new characters hoping to liven things up at our beloved Downton. The trailer arrives from a film hoping to become classic to the young, star-crossed lovers of today. 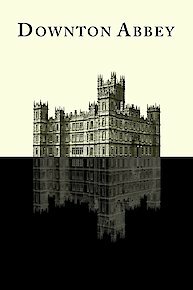 Downton Abbey is currently available to watch and stream on PBS. You can also buy, rent Downton Abbey on demand at Amazon Prime, Amazon, PBS, Vudu, FandangoNow, Google Play, iTunes online.